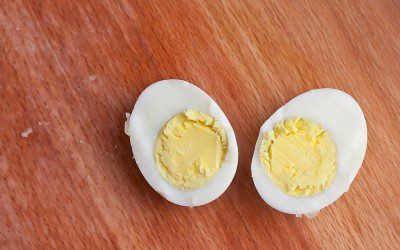 Home > Blog > Amy Campbell > May Is…National Egg Month! May is probably best known for college graduations, Mother’s Day, Memorial Day, and Cinco de Mayo. It also happens to be National Egg Month. While that may not sound overly exciting, what might get you excited is all the great things that eggs can do for your health, your diabetes, and your meals! Better blood sugars. One of the great benefits of eggs is that they have less than 1 gram of carbohydrate per one large egg. Being practically carb-free means that eggs fit perfectly into a diabetes eating plan. 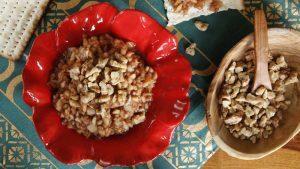 Need a quick low-carb snack? Grab a hard-boiled egg. Looking for better blood sugar control during the day? Eat an egg at breakfast. Research shows that starting off the day with an egg in the morning can mean better blood sugars and insulin levels throughout the day. Keeping off the pounds. Reaching and staying at a healthy weight is important for your diabetes and your heart health. While it’s not always easy to keep your weight under control, including eggs in your eating plan can help. One large egg has about 70 calories. Combine that with a slice of whole-grain toast and a piece of fruit, and the entire meal is lower in calories (and healthier) than your usual bagel smeared with cream cheese. Protecting your vision. Egg yolks contain lutein (loo-tee-in) and zeaxanthin (zee-a-zan-thin). They may be a little tricky to pronounce, but these two antioxidants can reduce the risk of age-related macular degeneration and cataracts. Strengthening muscles and bones. One egg has 6 grams of protein, roughly the amount of protein in one ounce of meat, chicken, or fish. An added perk is that the protein in eggs contains all of the essential amino acids that you need. And don’t ditch the yolk: it contains about 3 of those grams of protein. Speaking of protein, this key nutrient helps build muscle, for sure, but it also plays a role in helping you stay full — so you eat less. Keeping babies healthy. Egg yolks contain choline, a nutrient that helps nerves transmit impulses (meaning, communicate with other parts of the body), keep cell membranes intact, and process fat and cholesterol. Choline is also needed for brain development in the fetus and may help lower the risk of neural tube defects. Boosting vitamin and mineral intake. Once again, don’t toss out that egg yolk. The yolk contains fat-soluble vitamins such as vitamins A, D, and E. Eggs also contain iron, calcium, and magnesium. Eating eggs sounds great, but what about all the cholesterol in the yolk? Isn’t that bad? • One egg yolk contains about 187 milligrams of cholesterol. • According to the 2015–2020 Dietary Guidelines for Americans, cholesterol is no longer a nutrient of concern. This means that you don’t need to worry about eating foods that contain cholesterol, as studies show that cholesterol has little, if any, impact on blood cholesterol levels. Eating egg yolks (and other foods that contain cholesterol) has not been linked with a higher risk of heart disease. Another good reason to fit eggs into your eating plan is that they’re very budget-friendly. On average, one large egg costs 15 cents. That’s cheaper than most animal protein foods, as well as many fruits and vegetables (not that you should stop eating those). There are numerous ways to enjoy eating eggs: how do egg muffin cups, fritattas, or egg breakfast quesadillas sound? Check out the Incredible Egg website for tasty recipes and more information about eggs. Disclaimer: Amy Campbell is a Health Professional Advisor for the Egg Nutrition Center. After some time away from the diabetes community, Amy Mercer is joining the Diabetes Self-Management team with advice on topics like exercise, pregnancy, depression, marriage, menopause, and more. Bookmark DiabetesSelfManagement.com and tune in tomorrow to check out her first blog entry.